SC - RC 60 MIN. This weekend, take our Moto-arcade RC car for a spin at Maker Faire Orlando! Control the arcade-based motorcycle & bring our RC to life. Which sounds like you?1. It's fun to try and make a cheap car work as well as a top-dollar machine.2. I'd rather spend more for a car that's race-ready from the start. …best solution is to use a bearing with a ball that will not expand and to do away with the retainer altogether. 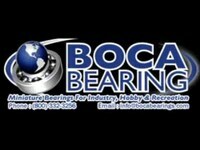 We offer 4 different RC Car & Truck Clutch Bell Bearing Kits.